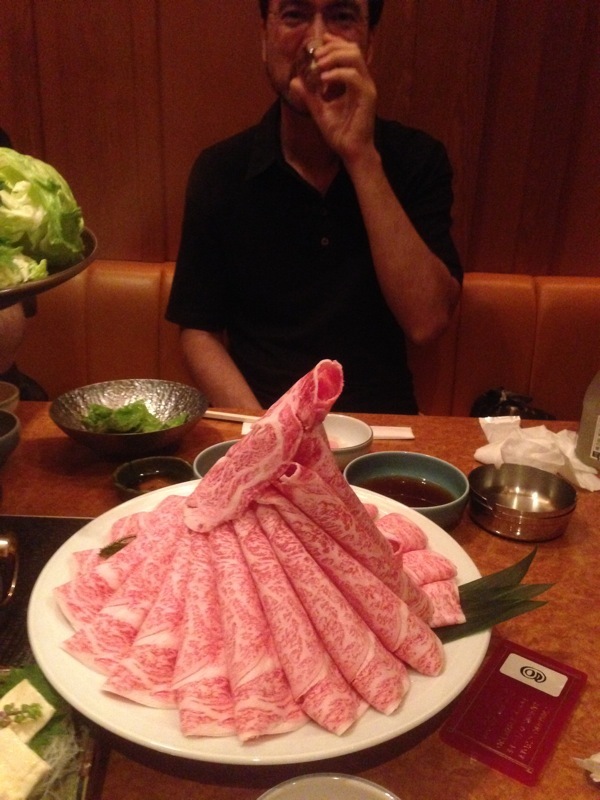 Then, thin slices of beef are place on the table. Each person grabs a slice of meat with their chopsticks and swishes it around in the broth (it makes the sound shabu-shabu) for a few seconds until it cooks. Then eat! Note the marbling in the beef.